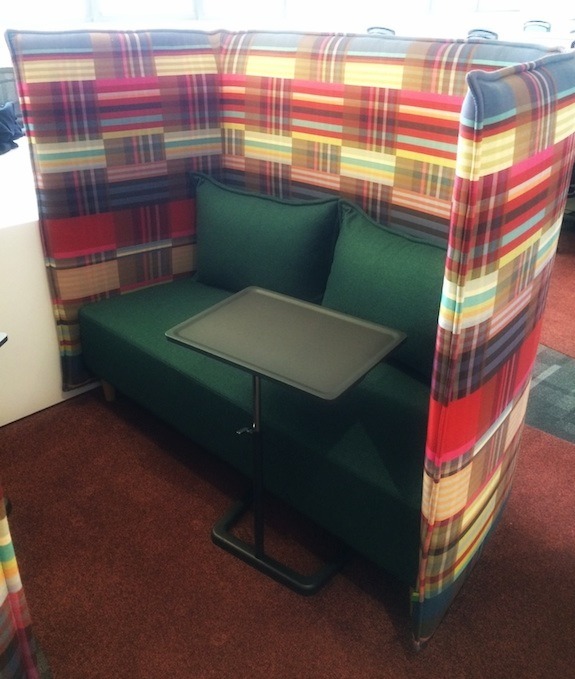 Remember when we announced the 3M and Designtex + Wallace Sewell collaboration? 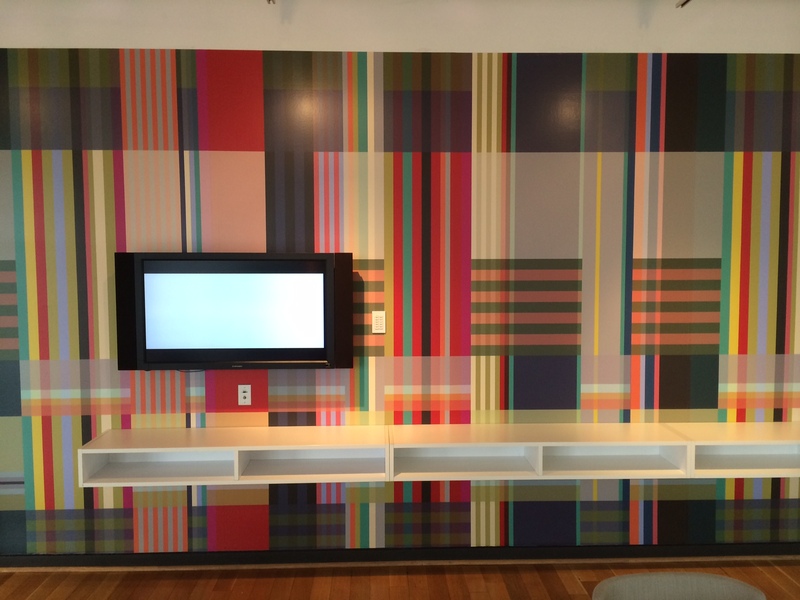 Check out Wallace Sewell upholstery pattern digitally imaged on film, and applied to walls! Gorgeous! And check it out on a wrapped booth! Laptop table by Vitra.